We couldn't wait to share this professional portrait session by KrysDiane Photography, LLC. It is really such a joy to see how our clients utilize the space! Thank you for sharing, we can't wait to see you again soon. 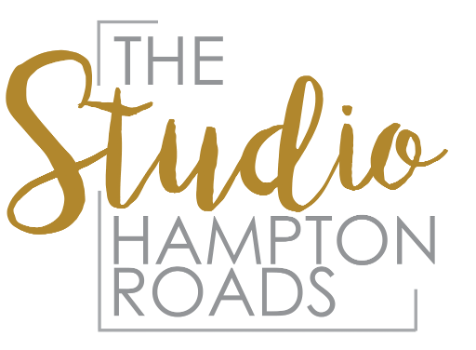 "The Studio Hampton Roads was the ideal place to host my recent photo shoot! It offered the best spaces, fixtures, and touches of elegance that fit perfectly into my brand. Sami & Leah were wonderful hostesses, not only did they accommodate my last minute request to book the venue, but they warmly greeted me upon my arrival and left me a nice little gift behind. The photo shoot was for Quintessence Events by CK, LLC, which is an event planning company based in Hampton, VA offering event planning, event design, and consulting. It is owned and operated by Cassandra R. Krah, who has over 15 years of event planning experience within the private and public sector. Her events range from weddings, receptions, and company celebrations to graduation ceremonies, coronations, pageants and more. Please visit her website at www.quintessenceevents.com.wixsite.com/1234 and Instagram page @quintessence_events. The wonderful photographer who crafted this shoot was Krystal Searcy, owner of KrysDiane Photography, LLC. You can check out her work - www.krysdianephotography.com, Facebook @KrysDianePhotography and Instagram @krysdianephoto. The magnificent makeup artist was NaKeyia Wiggins, owner of Make-Up by Nakeyia. Please follow her on Instagram, @makeup_bio."